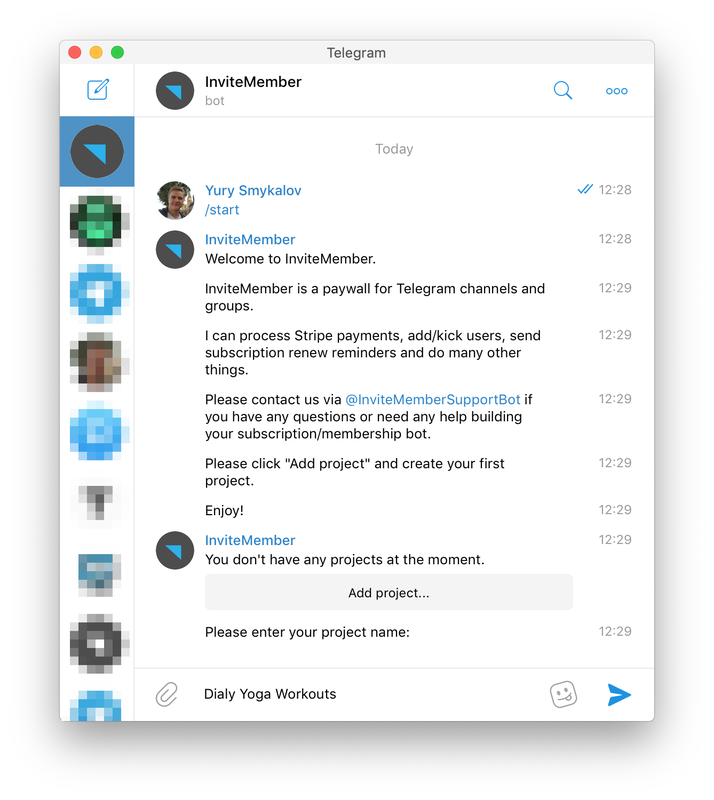 It's easy to get started with InviteMember. 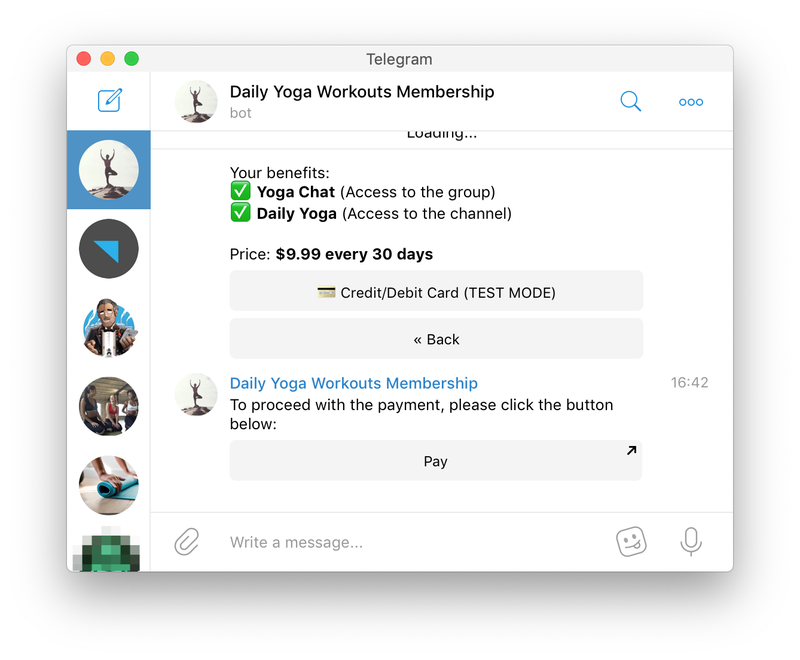 In this tutorial, we'll create a membership bot for a business called Daily Yoga Workouts (not a real project, just an example). If you want to skip the tutorial and check out the result, here you go: @YogaMemberBot. 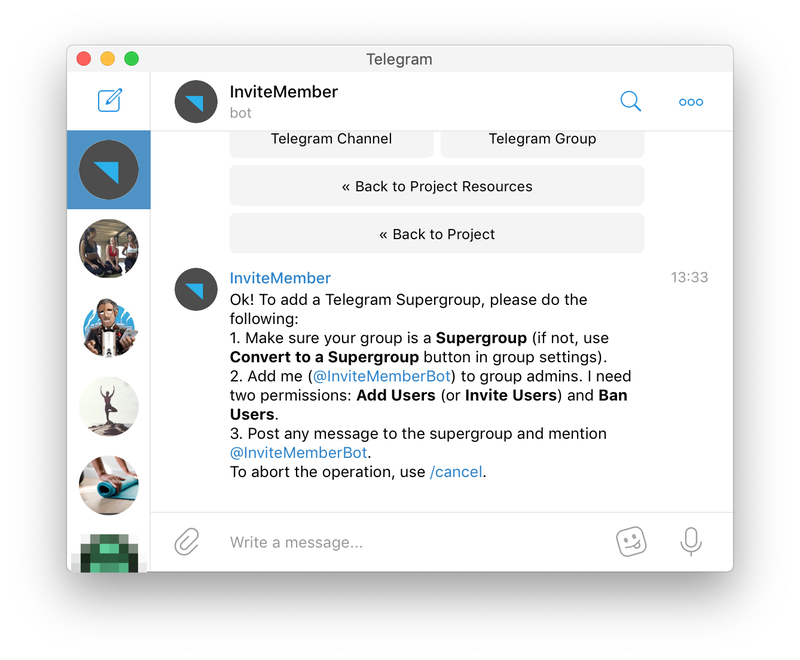 To begin, open @InviteMemberBot in Telegram. Click START. The bot will send you a welcome message, and then you'll see Add project button. Click it. Send your project name to the bot. That's what your clients will see when they open your bot. What will you members-only area look like? 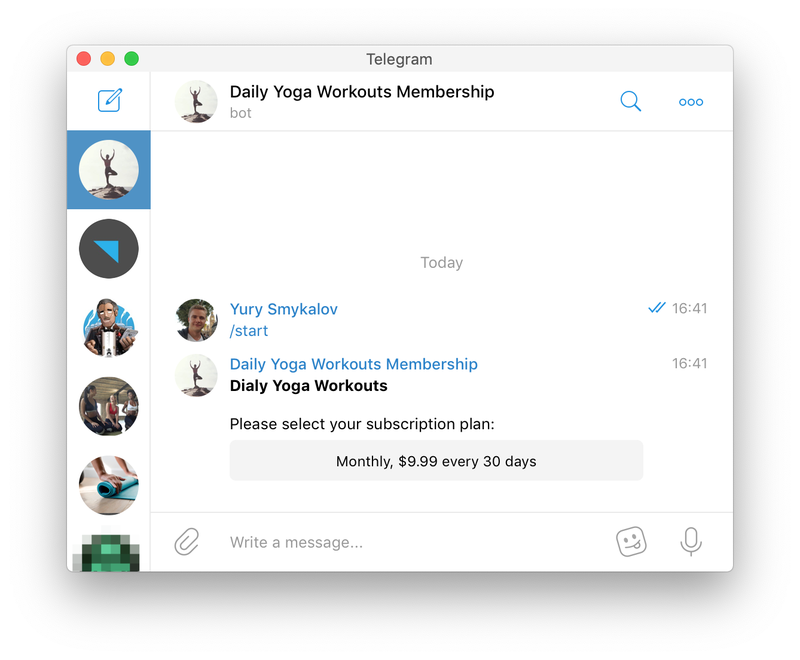 Channels are great for content delivery (newsletters, signals, videos, podcasts, etc.) while supergroups are great for communities (mastermind groups, QA, support groups, etc.). 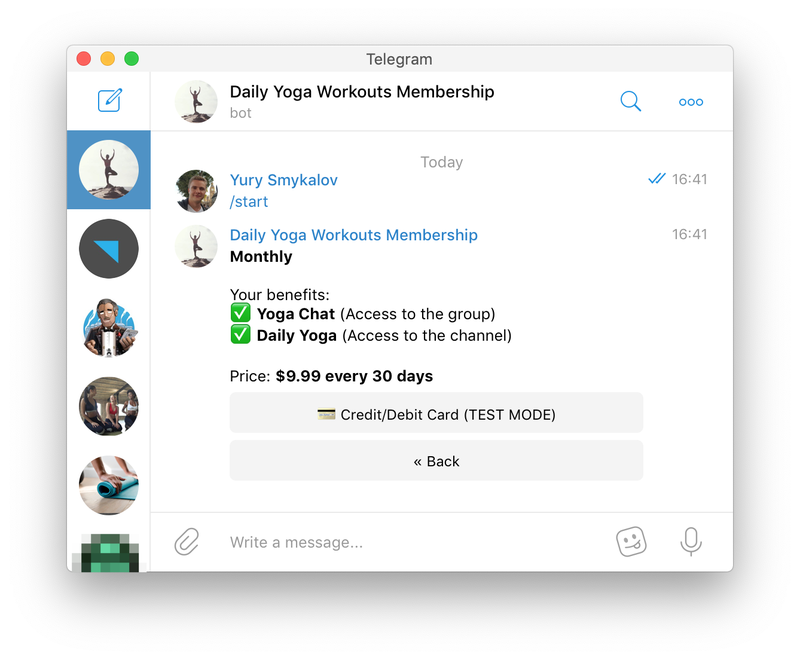 You can have multiple channels and groups managed by one membership bot! 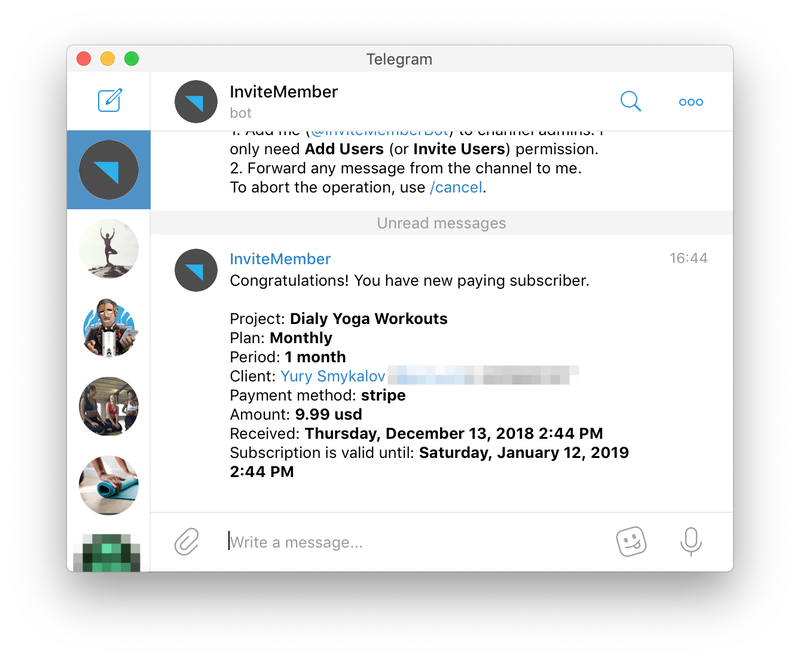 To add a Telegram Channel, you'll need to add @InviteMemberBot to channel admins and forward a message from the channel to the bot. 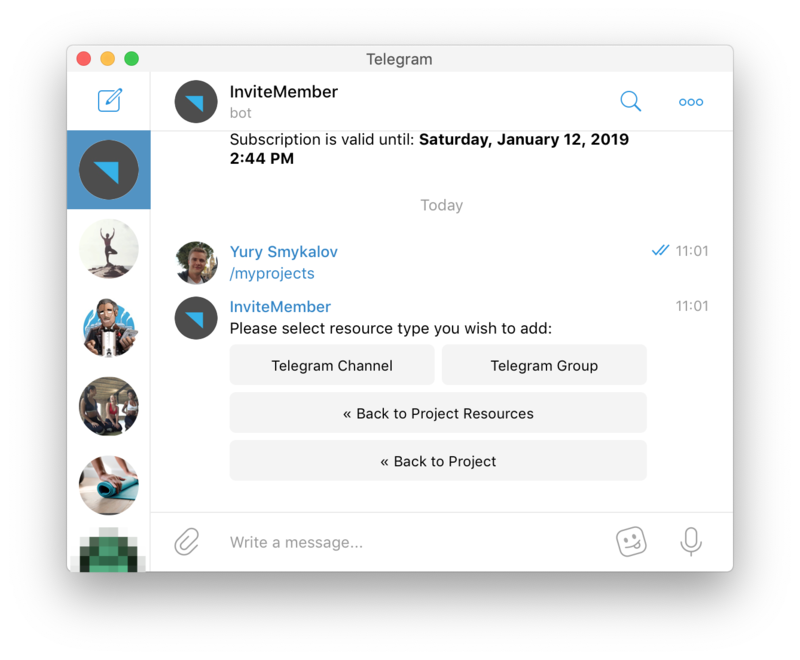 To add a Telegram Supergroup to InviteMember, you'll need to add @InviteMemberBot to group admins and post a message to the group with a mention of @InviteMemberBot. 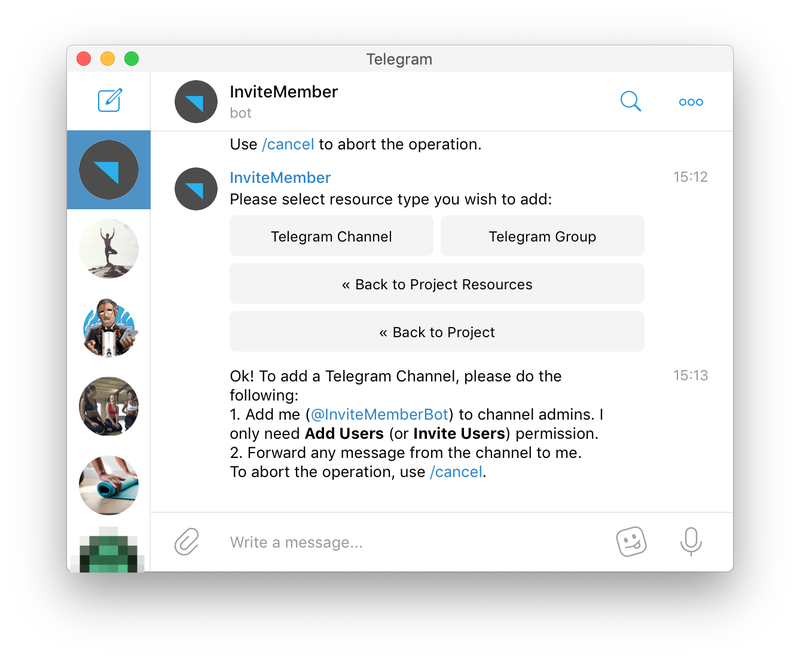 Please contact @InviteMemberSupportBot if you need any assistance. Subscription plan defines what your customer will get, how much and how often will he pay. 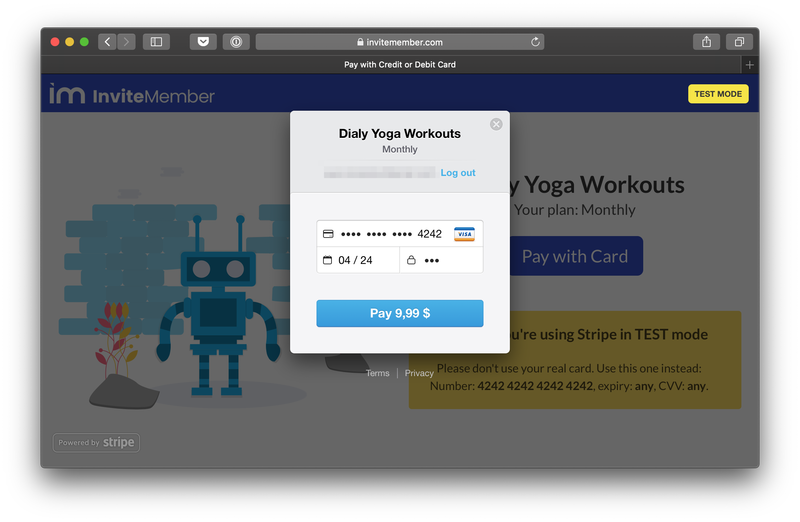 InviteMember supports two payment providers: Stripe and CoinPayments. For new projects, we recommend Stripe Test. 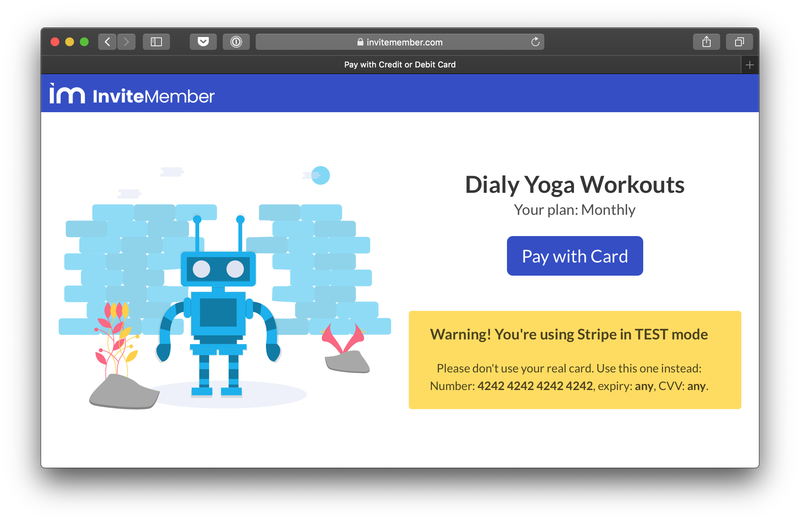 This payment method allows you to test how your bot works without a real credit/debit card. 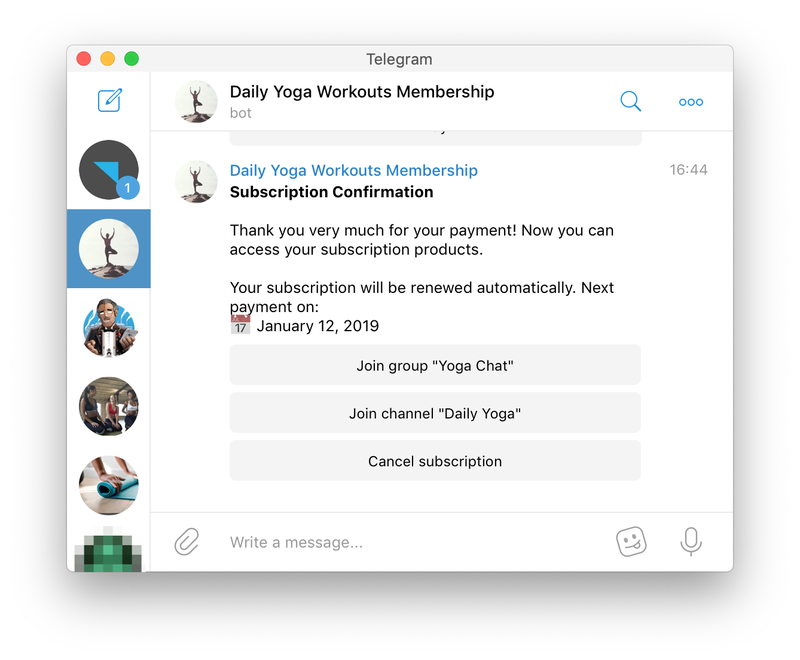 Your membership bot will be a small application that lives inside the Telegram ecosystem. It will have a name, a username, a profile picture and will appear just like a real person in user's contact list. 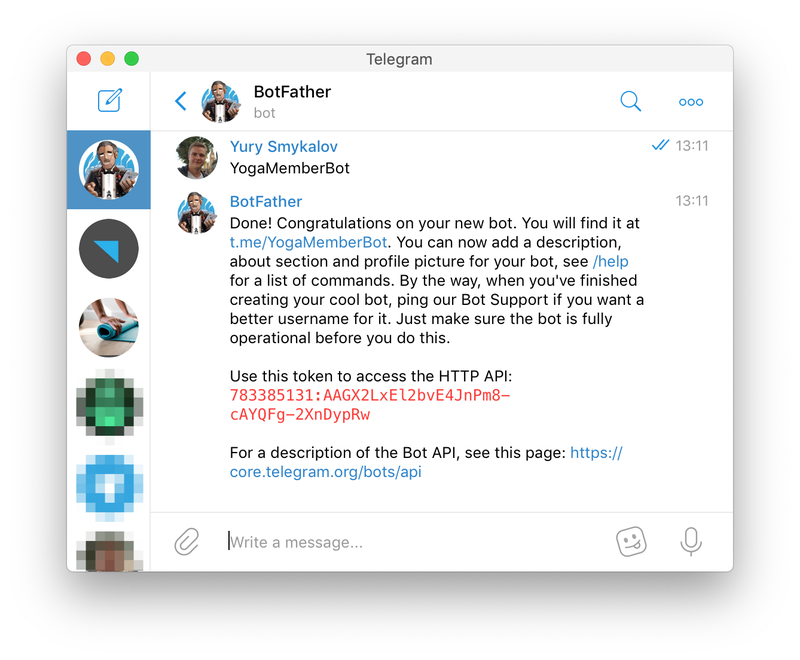 To create this new application, you need to register a new bot with BotFather. Keep this token in secret! 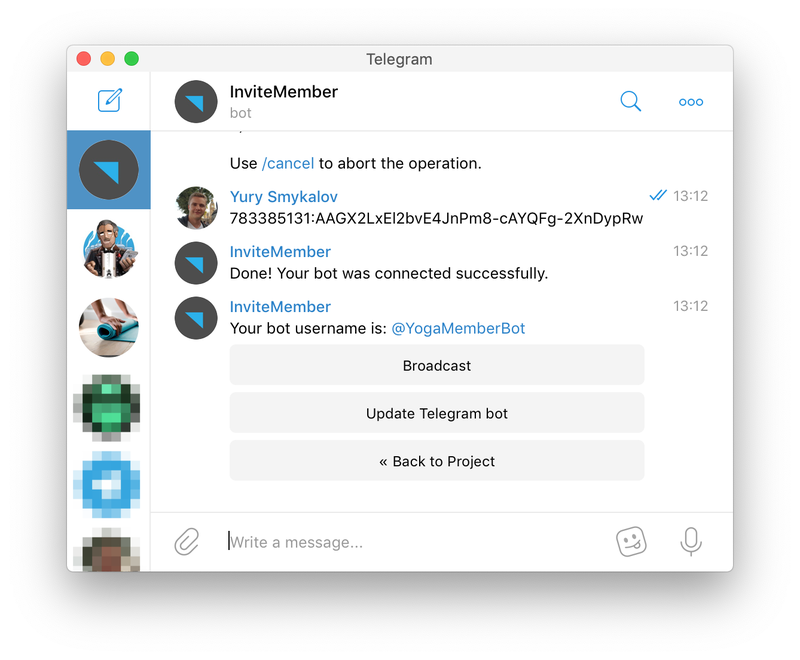 Your membership bot application is now registered in Telegram. But if you launch it — it will do nothing. Why? Because your newly created bot doesn't have a backend (server). 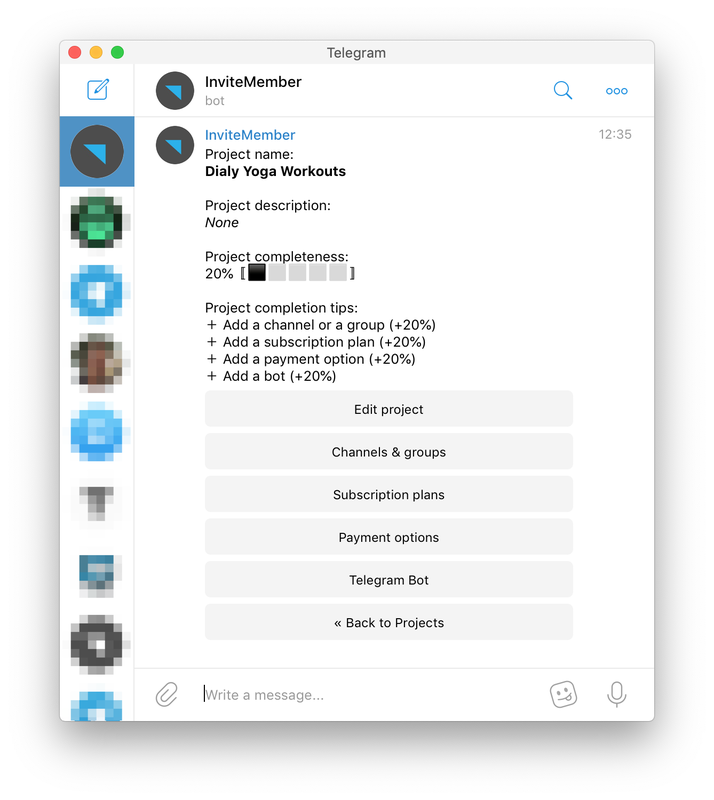 In the next section, you'll send this token to InviteMember. We'll use this token to register our server as your membership bot backend. 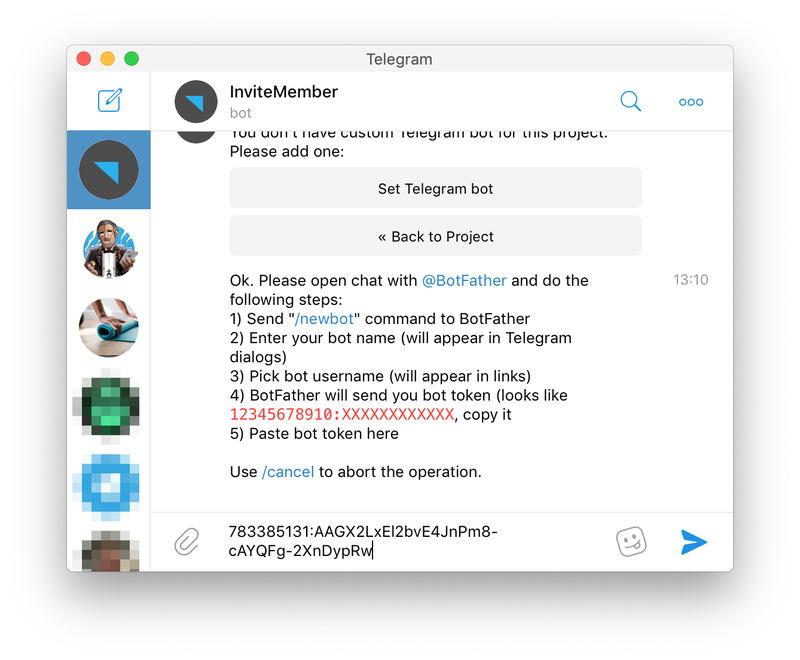 It will allow us to receive updates and send messages to your bot users. Now you can open your membership bot and click START. 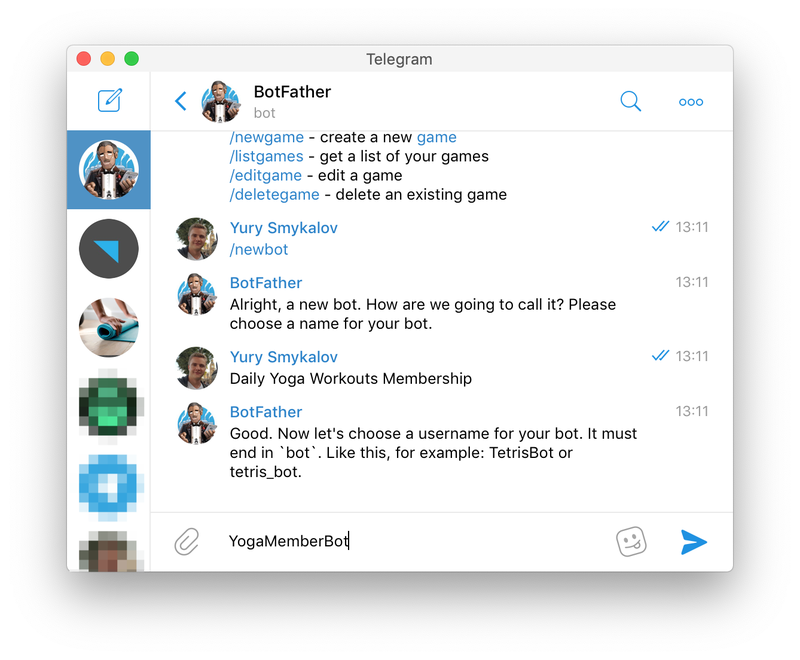 Now it's time to build your bot! Please contact us at @InviteMemberSupportBot if you need any help.